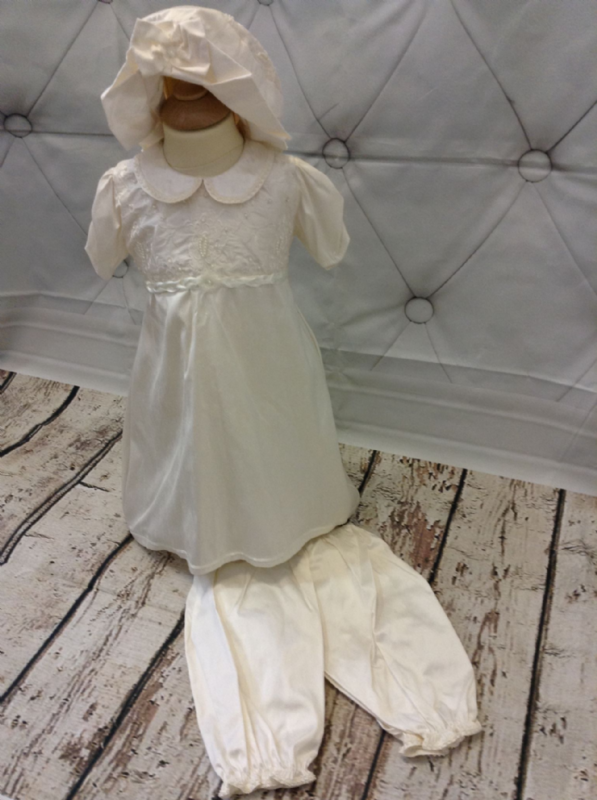 Silk ivory dress with bead and embroidery bodice, and Peter Pan Collar. Dress is fully lined in polycotton to be soft and cool against babies skin, and has a convenient zip at the back to make dressing easier. Comes complete with matching hat.